A template to help you structure your book. A template inspired by Gustav Freytag's Narrative Structure, meant to help you structure your book. Do you have many ideas for books? Having trouble deciding which book to write first? This PERT Ranking System helps you decide which book to write first. A workbook to help you pin-point your character's appearance in categories like looks, body language, self-perception, etc. A workbook meant to help you pin-point the settings in your story. A workbook meant to help you get some clarity before you begin to write a book. A workbook meant to help you craft a character-driven story. A template meant to help you set SMART goals that will help you achieve your dreams. A checklist highlighting basic and important aspects of every story. A perfect aid when revising / editing your story. A collection of worksheets that will help you discover your niche. Establish which events you should foreshadow to make your story cohesive and well-rounded. 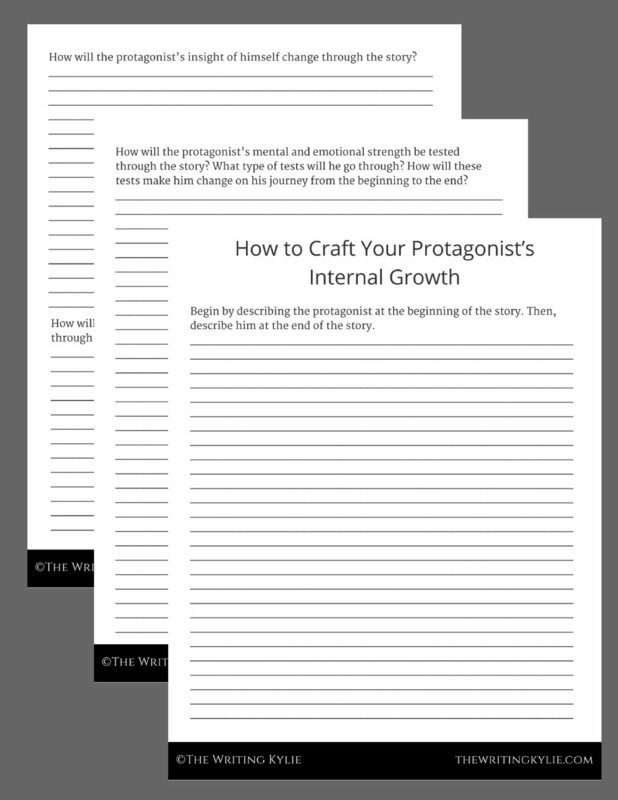 A collection of worksheets that will help you craft and establish your protagonist's internal growth.